Hyosung MX8600 — C&A Associates, Inc. The MX8600 the ideal solution in transforming branch activities from transactional to relationship growth. 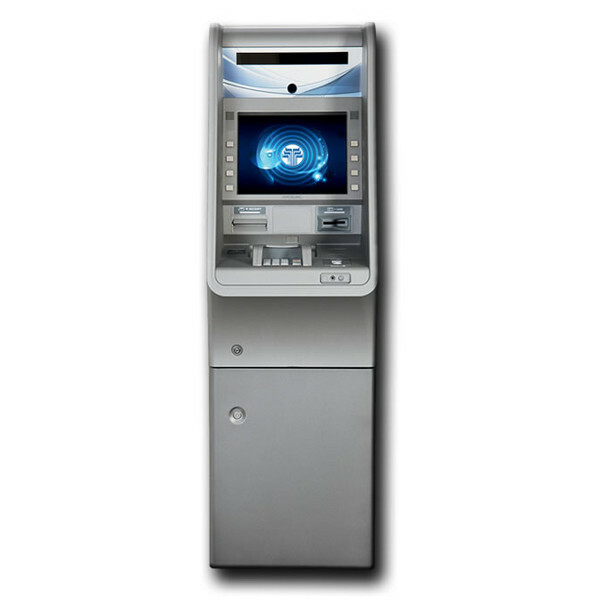 Customers are able to easily self serve cash withdrawls including specific denomination choices and make deposits using Nautilus Hyosungs state-of-the-art recycling technology. While customers enjoy an improved experience, you benefit from the efficiencies and savings of improved cash management. With the MX8600, you are ready for the future of retail banking. Advanced cash recycling technology built by Nautilus Hyosung will help financial institutions lower cash management costs, and improved availability of their self service network with Monimax8600s totally unique and compact design enhances the efficiency of the branch. The advanced cash recycling technology built by Nautilus Hyosung in the Monimax8600 will help financial institutions benefit from cash dispensing, cash deposit, and recycling. In this manner, cash is efficiently managed. All five cassettes can be operated independently in dispense, deposit, and recycling mode to enable optimum utilization for effective self service operations. With the addition of a check acceptance module, check deposit is enabled. Compliant with worldwide security standards, the Monimax8600 can easily integrate into existing network and self service monitoring solutions, providing seamless information for effective management. Ease of maintenance and simplified service ensure high availability and uptime with little operational intervention. The Monimax8600 is designed and engineered with the quality and craftsmanship you have come to expect from Nautilus Hyosung.